MIG welded and riveted construction for strength and durability. 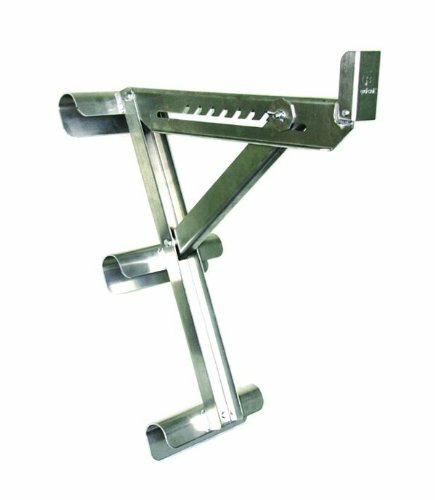 This high quality aluminum ladder jack will work on either the inside or outside of a ladder's face, and will accommodate up to an 18 In. wide plank, and is adjustable to fit round or D rung ladders.